Playdough, whether it is homemade or store bought, is a versatile sensory material that most kids love! Do your kids love playdough too? 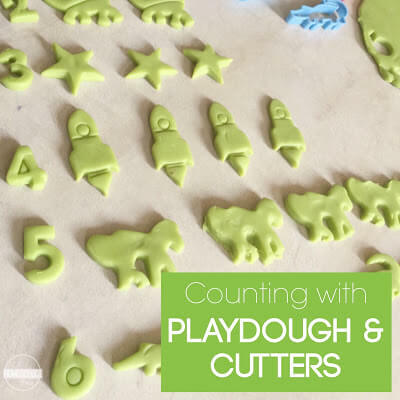 Use playdough for learning specific skills like this simple counting with playdough and cutters activity! 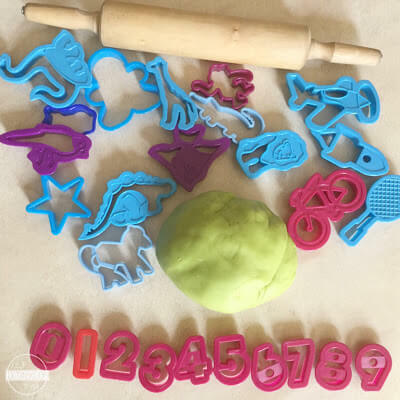 Your younger children will love matching the playdough “cookies” to the corresponding numbers and your older kids can make simple graphs and sums using their cutouts! 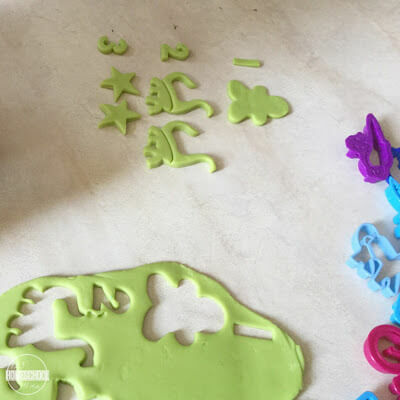 This playdough activity can be as structured or unstructured as you desire. Ultimately, children should learn while having fun, so as long as they are having fun they will learn! Let them count the cookies, pair it with the corresponding numbers, add more, take some away etc. Talk about what they are doing to enhance language development during this fun activity as well. 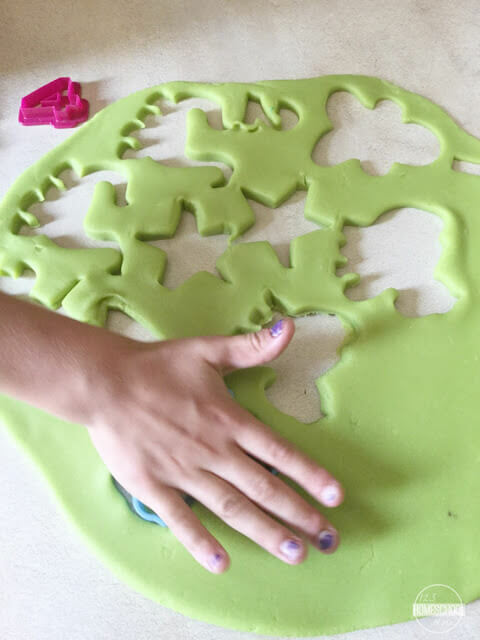 Not only will you expose your children to numbers, counting, and graphing, you also give them a chance to strengthen their hand and finger muscles while rolling out the dough and using the cutters. Plus, the sensory input of playdough is great for their learning experience thus making the activity a multi sensory learning experience. Fun learning indeed! Would your kids like counting with playdough?